We can fix it for you today. Let us do it for you today. We can solve your issue today. We'll help keep you safe. 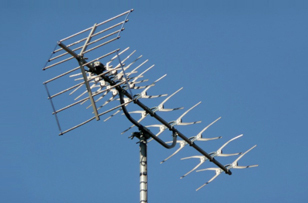 With so many different digital aerials and satellite TV services available to business and residential customers, it’s handy to have a company that knows the best solution for different circumstances, and how to fix problems, install systems and maintain the highest standards. People living and working in Hatfield are fortunate to be in range to be reached by the experts here at Aylesbury Aerials and Satellites. We’re on call 7 days a week to help with all kinds of issues relating to digital aerials and satellite systems. We respond quickly to calls and usually get the job done on the first day. And we’ll take on the tricky installations and repairs that others might refuse for being too tricky. Call Aylesbury Aerials & Satellites on 0800 046 9750. 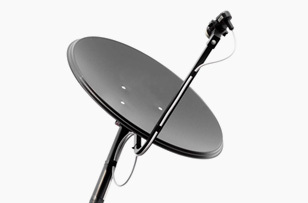 MATV, SMATV, IRS, Hotbird, Foreign Language satellite suppliers? If the answer’s yes, and you need repairs or maintenance or an upgrade or just some advice, call us for an expert service that’s fast. If you haven’t got any of these systems but are thinking about investing, call us too. We can supply all the hardware and all the talent you need to get up and running in Hatfield. We also provide unbiased advice. If you watch or listen to any of these services at home or in your workplace and need repairs, upgrades or advice, we’re the people to call first: Freeview, BT Vision, YouView, DAB Radio. If a storm has blown hats off in Hatfield, chances are your aerial up there on the roof won’t be picking up signals like it should. So your digital TV or radio service won’t be working well. If that’s the case, call us. Our experts have the skills to fix faults and carry out repairs on roofs and other high up or hard to reach places. We can also install DAB radio and digital TV aerials from scratch, and provide amplifiers to boost the quality of your reception. CCTV PLANNING & INSTALLATION – there’s nothing more important than home and workplace security and we can ensure the people and property you cherish are better protected. TV WALL MOUNTS – Attaching widescreen TVs to brackets and brackets to walls takes skill and experience. Our Engineers have both, which is why Hatfield homes and businesses rely on Aylesbury Aerials & Satellites for TV wall mounting. MULTI-ROOM – Having just the one TV hooked up to Sky or another digital TV service is seldom enough with so many channels to choose from. So get us in to install more points and sockets so you can enjoy the service all over the house. AV EXPERTISE – Our Engineers have the know-how to help customers in Hatfield realise their home cinema and other Audio Visual ambitions. 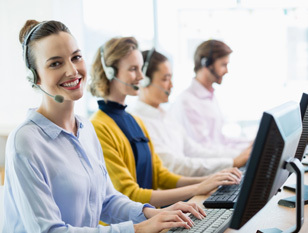 For fast, friendly and expert service in Hatfield, call 0800 046 9750. Customers like our service – it’s friendly, polite and fast. Plus it’s available 7 days a week. Our Same Day Service goes down well – when faults need fixing or satellite dishes or digital TV systems need installing, we’re quick off the blocks, usually getting to homes or businesses on the same day you call. Our exceptional engineers are popular – the ability to finish assignments fast – on the same day 95% of the time – keeps Hatfield customers happy. Our competitive prices are welcome – we price every job fairly, so you know a quote from us is at the right price. Our independence matters – because it enables us to provide customers with unbiased advice about satellite TV and digital aerials. Our number is one you should save to your phone. It’s 0800 046 9750 and we’re here to help in Hatfield when you need us. © 2017 Aylesbury Aerial & Satellites, All Rights Reserved.